The dream of the cannabis career is alive and infectious for job seekers across the country. Especially in Colorado and America’s west coast, eager candidates are moving en masse to cities like Portland, Denver and Seattle to become budtenders and begin their careers in the cannabusiness. While the appeal of the newly legal industry promises increases in state revenue and new job opportunities in cultivation and customer service, finding a job is actually more taxing than it sounds. Budtenders lead the customer service sector of the legal cannabis industry by facilitating the sale of cannabis products and paraphernalia to recreational customers and medical patients in dispensaries. Though budtending is often considered an entry-level marijuana job, it is a highly pursued one that comes with the possibility of advancing into more specialized cannabis jobs. Budtenders are primarily responsible for developing an in-depth knowledge of dispensary products and using that information to educate customers. Budtenders must be able to suggest products based on the customer’s tolerance level, experience with cannabis and medical needs; budtenders must be informed on the medical efficacy of their products, the strength of each strain and the specific effects of each product. What Does it take to Become a Budtender? The process for applying to most budtender jobs seems easy enough — submitting an application or resume in person or online — getting an interview, however, is significantly more difficult. The fact is, the cannabis industry is wildly competitive. Not only is the novelty of legalization enough to pique workers’ interest, budtender jobs are especially appealing to customer service workers with a passion for pot, who are looking to find a fulfilling service industry endeavor. While there is no “right” way to obtain budtender jobs, there are some tips you can use if you feel like you don’t know where to start. 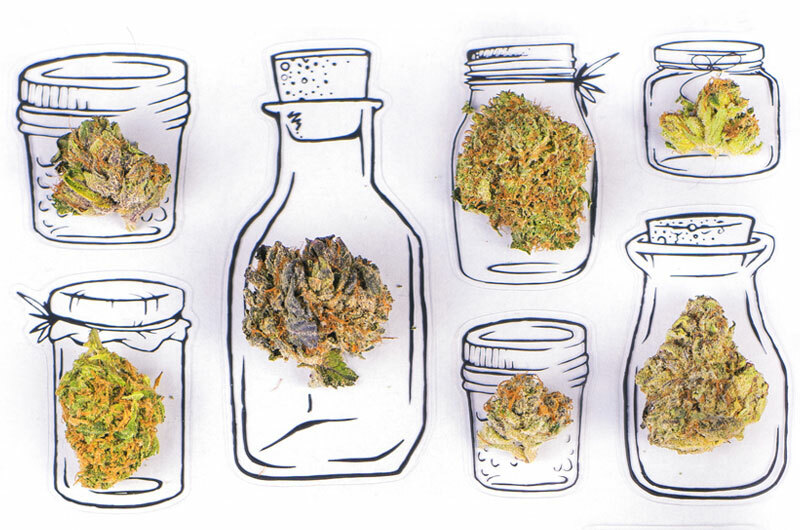 Budtenders are customer servers first and foremost. Regardless of what is being sold, the budtender is responsible for engaging customers with a friendly attitude and helpful suggestions. They also must select, weigh and package products, as well as lead the customer through point of sale. Good customer servers usually make good budtenders. No matter how much weed industry experience you have, you must be able to handle the rushes and lulls that eternally exist with the service industry. For this reason, be sure to highlight any and all customer service experience, to show that you are capable of being a good salesperson. Even if you’ve never touched an unharvested cannabis plant, you may still be able to get a budtender job if you’ve worked consistently as a barista or bartender. These jobs, though centered around different consumables, show that you are able to sell a speciality product and problem solve along the way. If you don’t have any experience working in the cannabusiness, this is not a death sentence for acquiring budtender jobs! With that said, it will of course help your chances if you are a seasoned trimmer, budtender, cultivator, etc. There is some debate as to whether it’s smart or not to highlight significant black market industry experience, as the public health and liquor boards that regulate cannabis don’t look upon these individuals kindly. However, there is a big difference between having legitimate experience growing, versus selling mids out of your dorm room in college. Only highlight relevant industry experience that you believe will really help you. Some dispensary owners are former black market cultivators themselves, but that doesn’t necessarily mean they want to recognize that experience in their employees. Ultimately, it is necessary that you have a developed knowledge of cannabis products and legislation, even if you don’t have work experience. Some employers are willing to train, as long as the employee has put in time on their own to become well versed in things like strain differences. Simply being a regular pot smoker doesn’t make you a weed expert…unfortunately. Realistically, one of the most streamlined avenues to obtain budtender jobs is by knowing someone at a marijuana dispensary or in the industry. I know this may seem obvious and ubiquitous across all industries; however, the cannabusiness is particularly contingent around community. A big reason for this is because of trust issues both the black market and legal cannabis industry has with its workers. Since dispensaries engage in mostly cash-based sales and are stringently regulated with a lot of government oversight, employers only want to hire people who they feel will bring a level of credibility to their business. This is honestly one of the biggest hurdles keeping experienced individuals from being able to obtain jobs. Sometimes hiring managers would rather hire someone whom they are familiar with, rather than going through the extensive process of interviewing candidates. The competition for budtender jobs is so fierce that a single job posting for a budtender making ten dollars per hour will receive hundreds upon hundreds of applications in major cannabis hotspots like Portland and Denver. If you currently don’t have any friends or connections in the biz, consider making your presence known to your budtender at your local dispensary. Most budtenders won’t mind answering you industry questions or giving you their advice on the best way to go about securing a job. Yes, this is the legal cannabis industry. Yes, your employer will be fine with you smoking weed on your own time. No, this does not mean you can smoke at work. It’s no surprise that stoners make up the largest faction of budtender job seekers, and there’s nothing wrong with this. However, employers are looking for what I will call professional stoners. Again, this industry is highly regulated and it is absolutely essential that budtenders follow all compliance measures. This requires being a professional, alert individual. Dispensary hiring managers want to see that you can be a knowledgeable professional, as well as a cannabis advocate. This isn’t to say you have to be stiff or rigid; rather, professionalism is yet another way to give credibility to the industry. One way to increase your chances of getting budtender jobs is to become certified by a job training service. Sites like THC University offer online courses in budtending taught by industry professionals. The classes are interactive and culminate in a test that, if passed, will certify you as a THCU budtender. With this certification, the hope is that it adds credibility to the job candidate and demonstrates that they have a vested interest in the career. Be sure to exercise caution, though when looking into job training services, as there is no industry standard for a “good” cannabis education. If you are going to invest money into a program, make sure it is one that comes highly recommended and has been shown to increase the job applicant’s chances of success. Budtender job compensation begins around minimum wage and averages between 10-12 dollars hourly, plus tips. While there are opportunities for significant raises, it might not make sense to invest a lot of money in budtender job training courses for a job that doesn’t end up paying that much. Speaking from experience, it is likely that your pursuit of a budtender job will require applying to more than one dispensary. In fact, it may require you apply to many stores before you are selected for an interview or offered a position. One Portland budtender I interviewed professed to having applied to over sixty dispensaries before landing a job. If it takes you a while before finding a job, don’t beat yourself up! Positions are always opening up, so there will always be more chances to apply. Employers actually have a very difficult job riffling through resume after resume to find the right person, so it helps to follow up with your application to separate yourself from the pack. Hiring managers want someone who is clearly passionate about being a budtender. It is also a smart idea to ALWAYS visit a dispensary once, even twice before applying for a job. Doing this will only benefit you, as employers want to see that you value their dispensary specifically, apart from the masses of other shops out there. At the end of the day, the only way you’re going to be a budtender is by applying for jobs! Walk into that interview feeling confident with your skills and knowledge. The cannabis community is very tight knit and there are many industry-specific online forums and publications that can help prepare you even further for the career path ahead.